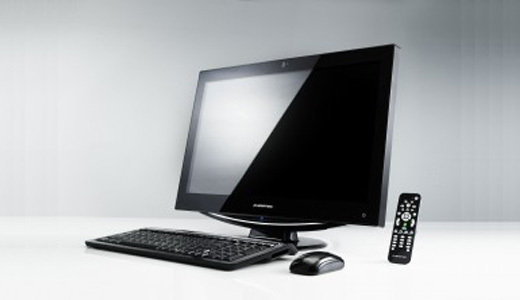 Priced at $999, the new Averatec D1200 25.5-inch PC/TV Combo all-in-one (AIO) computer offers HD experience with a 1080p resolution. This computer powered by 2.5GHz Intel Pentium Core 2 Duo E5200 processor and has built-in hybrid digital/analog TV tuner. Other specs that you can expect: 8x super-multi DVD optical drive, built-in 2.0 MP camera, WLAN 802.11N and gigabit 10/100/1000 Mb/s network connectivity.